, Rex A. Rock Sr. 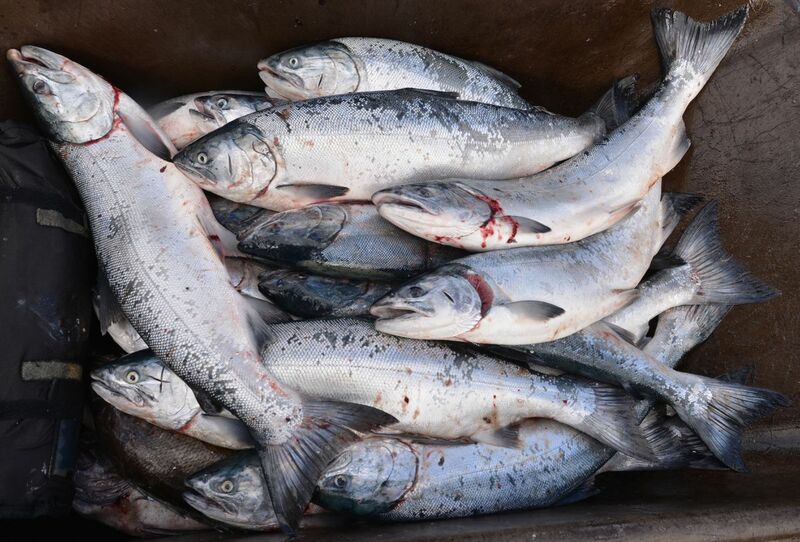 Starting during the Alaska Federation of Natives Annual Convention this week, Alaskans will be confronted by signature gatherers asking them to sign a controversial new ballot initiative that claims to "Stand for Salmon." As leaders of Alaska Native regional corporations, we urge you not to sign it. If you read nothing more, please remember this: We already stand for salmon. In July, the ANCSA Regional Association, an organization representing the 12 land-based Alaska Native regional corporations, voted unanimously to oppose this initiative. If passed, this measure could prevent our people from developing the lands conveyed to us under the Alaska Native Claims Settlement Act, or ANCSA, and restrict our ability to create a sustainable future for Alaska Native people. Existing laws and regulations are working and this initiative is a disproportionate response to a problem that does not exist. Initially rejected as unconstitutional by Lt. Gov. Byron Mallott following guidance from the Alaska Department of Law, the initiative sponsors appealed the ruling and a Superior Court overruled the lieutenant governor. We hope this decision will be appealed to the Alaska Supreme Court and ultimately thrown out. In the meantime, signature gathering has commenced. In order to have this matter placed on the 2018 ballot, the sponsors will have just a few months to gather sufficient signatures. Let's not make their jobs easy by falling for their simple "Do you stand for salmon? Sign here" overtures. When signature gatherers ask you to sign, please remind them our people have been standing for salmon for generations. Let them know that this initiative, if passed, will hurt Alaska Native people the most. Tell them we need good-paying, year-round jobs to sustain our communities and this initiative would harm those opportunities. Remind them Alaska Native people and their corporations understand the value of balancing economic development with strong environmental protections. Ask them if they know that by placing unattainable protection standards on community and village development, both large and small, Alaska Native interests would be significantly affected. If the signature gatherers ask you to sign their petition, we urge you to respectfully tell them, "No, thank you." This is not fear-mongering. If this initiative becomes law, revenues from Red Dog mine, Alpine oilfield, the proposed Donlin mine, timber harvests, and other responsible resource development on ANCSA lands would be directly affected. To date, the revenue shared with all Alaska Native regional and village corporations from development on our lands has exceeded $3 billion. We cannot have anti-development interests, many of which are funded by outside entities, dictating how we run our state, and locking up our lands. We have responsibly developed our communities and resources for millennia while co-existing with our salmon and other wildlife. When confronted, we urge you to stand up for our people, stand up for our communities, stand up for our jobs, and tell the initiative sponsors and signature gatherers to stand down. Alaska Native people already stand for salmon. We respectfully ask that you stand with us in not signing this initiative. Sophie Minich is president and CEO of the regional Native corporation CIRI. Rex A. Rock Sr. is president and CEO of Arctic Slope Regional Corp.